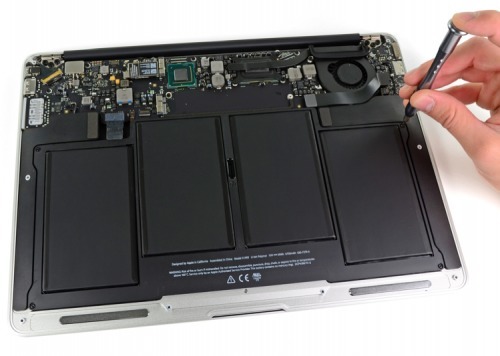 iFixIt has performed their teardown of the new MacBook Air which reveals that Apple is still using a SSD that is not soldered to the logic. 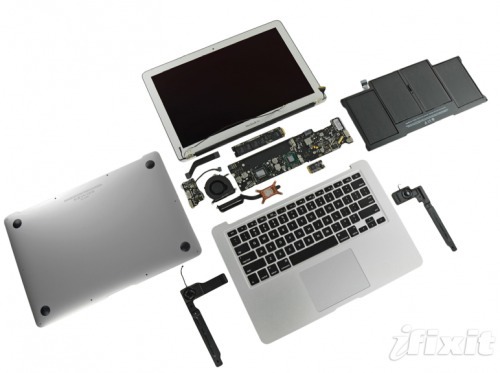 ● Once you manage to take off the bottom cover, all the parts are pretty easily replaceable. ● Opening the bottom cover is quite difficult if you don't have the right screwdriver. It's clear that Apple didn't want people to open their machine. ● All the components -- including RAM and SSD -- are proprietary, meaning that no off-the-shelf parts will work in it without serious rigging. Thanks for sharing this post actually MacBook features are very nice.i would like to thanks to tell us how to repair the macbook.i really appreciate this post.